Figure 1. Gibberella ear rot on corn. The 2018 corn growing season can be summed up by saying it has been challenging. 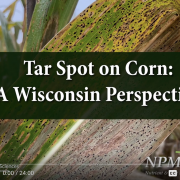 In Wisconsin, corn diseases have kept producers and agronomists moving to try to manage multiple issues for much of the summer. 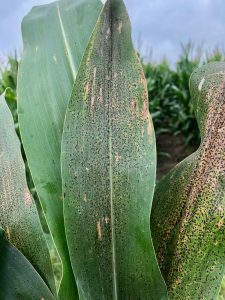 Early in the season gray leaf spot (GLS) moved in quick, followed by onset of a new disease called tar spot (TS), then northern corn leaf blight (NCLB) reared its head in August. This was then followed by high levels of ear rot in some fields. This is the first season that I have had to rate four diseases in one research trial. While GLS, NCLB, and TS create their own unique management challenges they can also stress the corn plant which results in secondary issues such as loss in stalk integrity or a plant that is left susceptible to other pathogens. I have written a previous article describing some of these issues, and how to deal with them. 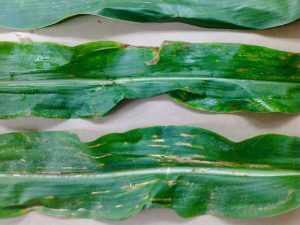 To manage some of these foliar issues, increasing interest has been placed on using fungicides, especially in grain corn. Over the last several seasons, interest is growing from dairy producers who are also treating corn silage hybrids with fungicide. Why all the interest in treating silage corn with fungicides? Some of the intent is to improve feed digestibility. Dr. Felipe Cardoso’s animal science laboratory at the University of Illinois has published several peer-reviewed papers describing the physiological changes in the corn plant treated with fungicides, that result in improved feed digestibility. In those studies, yield was often not directly impacted by the fungicide application, but fibrous changes in the corn plant improved feed conversion to milk production in cows fed silage corn treated with fungicide (Haerr et al., J. Dairy Sci., 2015; Kalebich et al., J. Animal Feed Sci., 2017). Our laboratory at the University of Wisconsin-Madison is also interested in the effects that fungicides might have on mycotoxin accumulation in silage corn hybrids. We are especially interested in the accumulation of deoxynivalenol (DON or vomitoxin). In corn, DON is primarily produced by a fungus called Fusarium graminearum. Fusarium graminearum can cause Gibberella ear rot (Fig. 1) and also Gibberella stalk and crown rot of corn (Fig. 2). Figure 2. 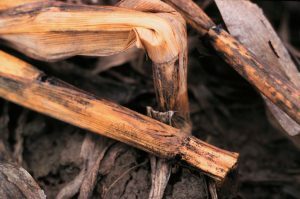 Severe Gibberella stalk rot (left). Photo Courtesy of Craig Grau. Mycotoxins are secondary metabolites produced by fungi, that can be toxic to plants and/or animals (including humans). These are termed secondary metabolites as they are not produced by primary metabolism in fungi. We understand some things about secondary metabolism in fungi, but there is much left to learn. Stressors on fungi can be responsible for inducing secondary metabolism, but other environmental and substrate cues might also be important. The inconsistency in induction of secondary metabolism in fungi, might be one reason that we see no linear relationship between ear rot in corn and vomitoxin accumulation. 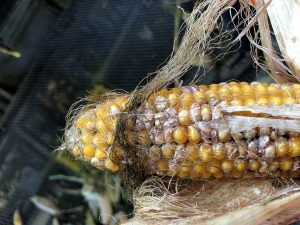 It is not uncommon to find low levels of ear rot, yet find high levels of vomitoxin in finished corn grain. Animal nutritionists have observed many impacts of mycotoxins on animals, including dairy cattle. These can range from simple reductions in milk production all the way on up to feed refusal, hemorrhaging, and death. For this reason, nutritionists have devised guidelines for dietary limits of some mycotoxins to reduce harm to the animal. Dr. John Goeser has assembled the “Mycotoxin Guidelines and Dietary Limits” fact sheet to help producers better understand the potentially harmful toxin levels in the total diet (DM). You will see in that chart that for DON, the suggested limit is just 0.5 to 1.0 ppm for dairy cattle. The fact sheet also provides a helpful formula to understand the contribution of toxin in a particular component of feed, relative to the total diet. 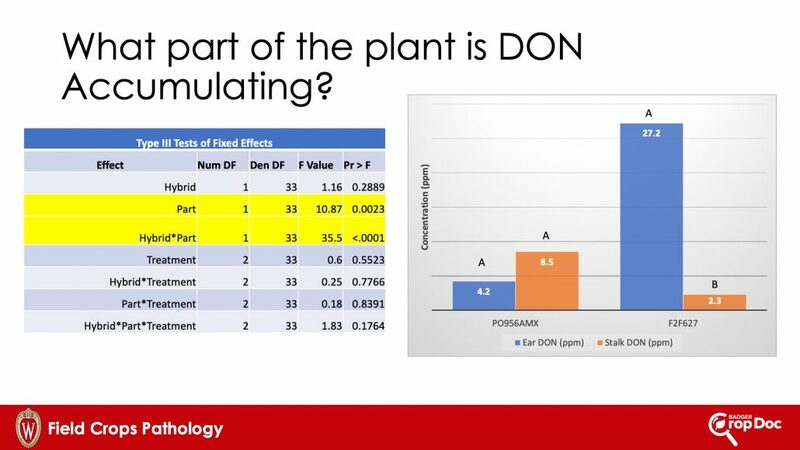 So how do fungicides affect DON in corn plants at harvest? 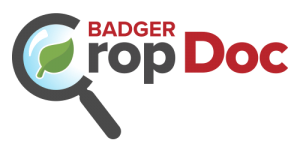 Let’s look at some data from Wisconsin in 2017 and 2018. During the 2017 growing season, we conducted a small-plot research trial at the Arlington Agricultural Research Station located in Arlington, WI. The brown midrib (BMR) corn hybrid ‘P0956AMX’ was chosen for this study. Corn was planted on 11 May and chopped on 13 Sep. Single applications of various fungicide products (Fig. 3) were applied at growth stages V6 (19 Jun), R1 (26 Jul), 5 days post R1 (31 Jul), and 10 days post R1 (4 Aug). 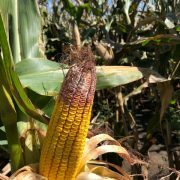 Ear rot severity was assessed by visually rating five ears per plot on the day of harvest. Yield was determined by harvesting the center two rows of each plot using a small plot silage chopper with an onboard platform weigh system. Chopped sub-samples were collected from each plot and analyzed for deoxynivalenol (DON) content. Consistent with other datasets, we found no significant difference in yield across treatments (Fig. 3). Unlike other studies, little difference in digestible fiber (TTNDFd) could be found among all treatments. 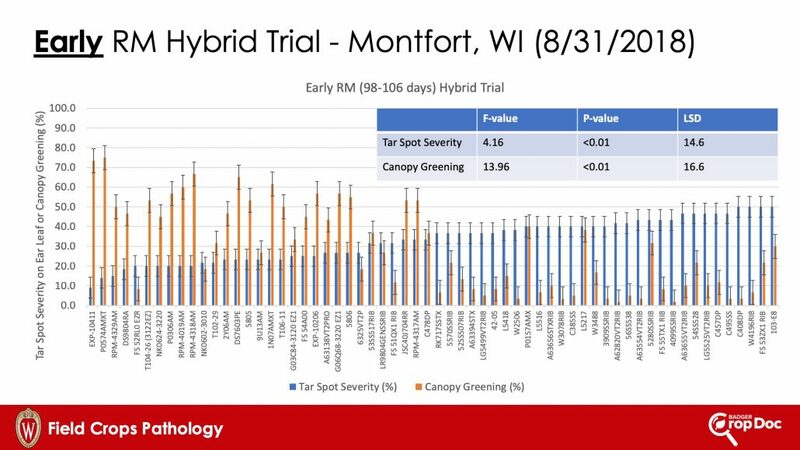 This could be due to the fact that we started with a high-quality BMR hybrid, thus not readily responding to physiological changes that correspond to increased feed quality when treated with fungicide. 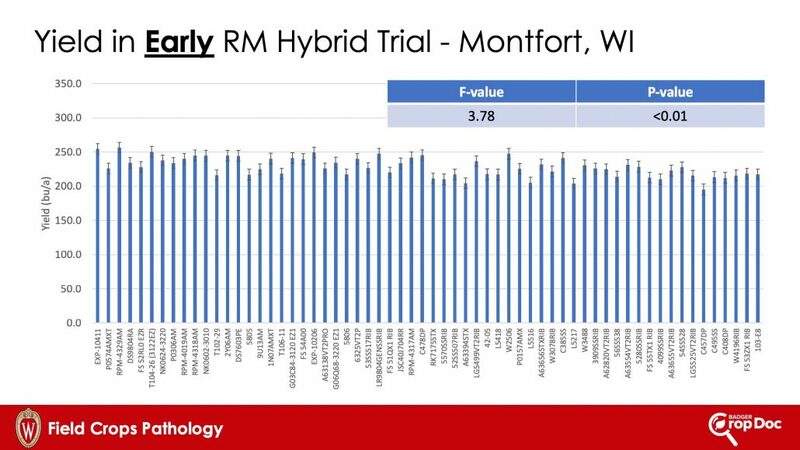 All fungicide treatments resulted in a significant reduction in DON content compared to the non-treated control, except Delaro applied at V6 and Quilt Xcel applied at R1 (Fig. 4). Application of the experimental 1 fungicide applied at R1 resulted in the lowest DON content among treatments. 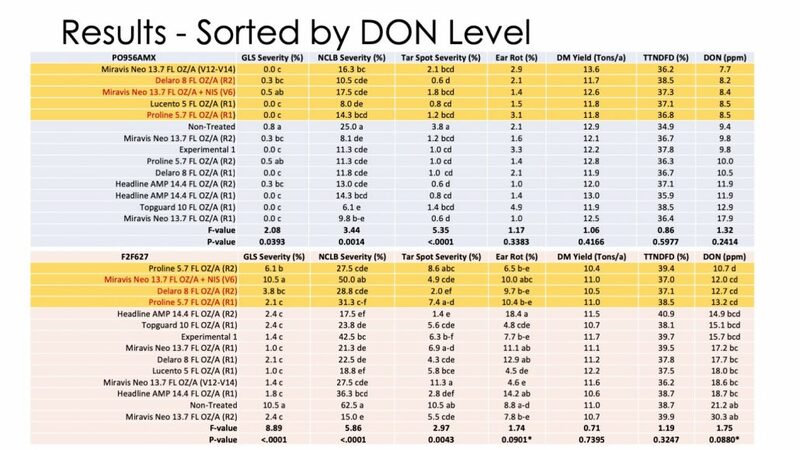 Remaining treatments had comparable DON levels to experimental 1 except for Quilt Xcel at R1. These results were consistent with previous data from Canada indicating that there is a narrow window of application-timing (especially when using Proline), when the goal is to reduce DON. The window of application begins at R1 (silking) and ends around 10 days after the start of R1. In 2018, we repeated trials that we began in 2017. However, we made several modifications, including adding treatments and adjusting application timings. We also added another hybrid, in addition to repeating trials on PO956AMX. The new hybrid was another BMR, F2F627. We also made plots wider. We increased the width so that we could harvest our center two rows of plot using the small-plot chopper and also destructively sample plants on rows 2 and 5. We cut 5 plants from these rows in a subset of fungicide-treated, or non-treated plots. We then removed the ears (husks attached to ear) from the stalks. We ground the stalk portion and the ear portion and kept these samples separate, so that we had paired-samples for each of these plots. We wanted to know where DON was accumulating in the corn plant. Remember that F. graminearum can cause a stalk rot AND an ear rot. Plots were planted on May 1 in 2018. Growth stage V6 applications were made on June 15, V12 on July 11, R1 on July 18, and R2 on August 1. Plots were chopped on Sep 12. All data acquisition and sample testing was the same as in 2017, with the exception of adding the paired-samples for DON testing. Data from each hybrid were analyzed separately as these hybrids were planted in two separate blocks of the same field. Figure 5. 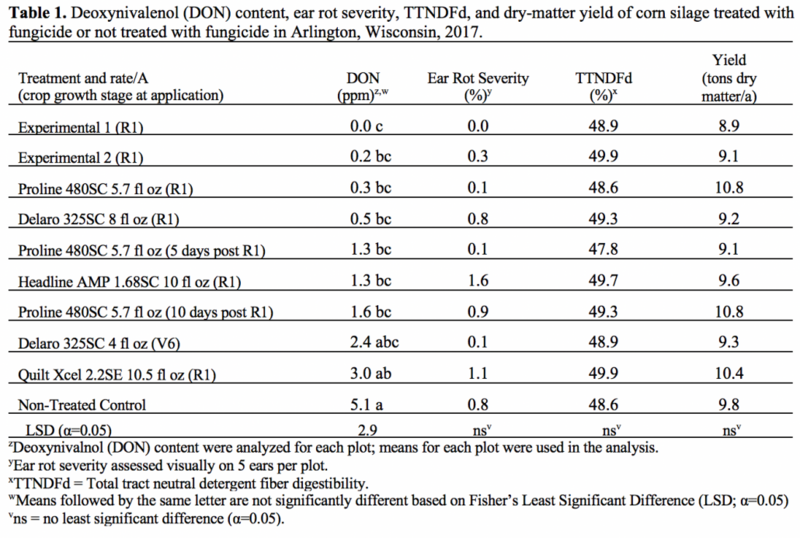 Disease, yield, and DON data for 2 silage corn hybrids treated with fungicides in 2018 in Arlington WI. 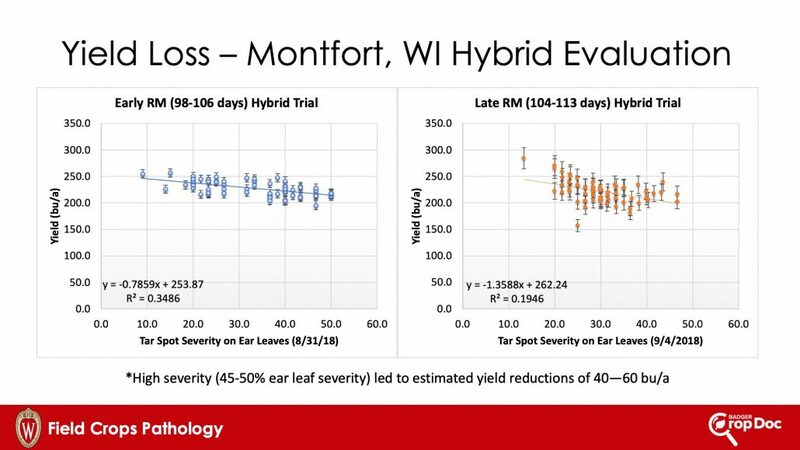 Figure 5 shows mean foliar disease, ear rot, yield, forage quality, and DON levels for both hybrids. Data are sorted by DON level and red highlights of certain products/timings are included to show which were consistent across both hybrids. 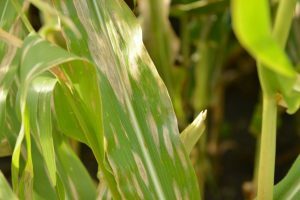 Foliar disease and ear rot were higher in 2018 than 2017. Each hybrid responded a bit differently to each disease. 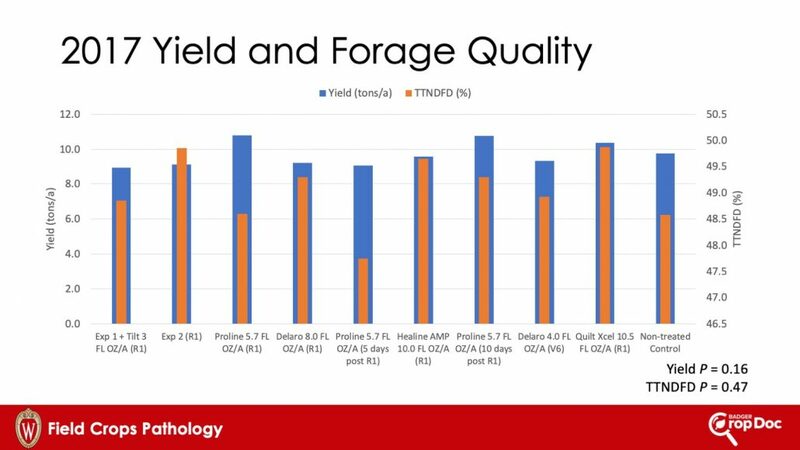 Similar to 2018 there was little effect of fungicide on yield and forage quality. For PO956AMX, fungicide application also did not significantly affect DON levels. For F2F627 there were some marginally significant differences in DON as a result of fungicide application. Regardless, DON levels were extremely high in this field. This was a natural epidemic, indicating that the environment was very conducive for the fungus in 2018. Some products were consistent across trial in giving some reduction relative to the non-treated. These included Proline applied at R1, Delaro applied at R2, and Miravis Neo applied at V6. With that said, levels of DON were still over 7 ppm, even in better performing treatments. In years where the environment is conducive for F. graminearum, fungicide alone won’t be enough to reduce DON levels to acceptable limits. Incorporation of other techniques such as resistant hybrids will be needed. What Part of the Plant is DON Accumulating? Figure 6. Analysis of variance (ANOVA) table and DON levels in stalks and ears of corn plants sampled from two corn hybrids. Results of our paired-sample analysis were interesting. We chose to sample plots from the non-treated and two fungicide treatments. The details of which fungicide treatments are not important here, as treatment had little effect on DON level in this analysis (Fig. 6). The part of the plant we sampled was significant, as was the interaction of hybrid and plant part. Interestingly, we were able to find high levels of DON in stalks and ears, with PO956AMX actually having twice the level of DON in stalks compared to ears. F2F627 responded differently with higher DON in ears than stalks. We also dug a little deeper into this relationship, and conducted some correlation analysis with several parameters from these plots. Bissonette et al. (2018) reported that in wheat, DON levels in grain were positively correlated with straw DON levels. 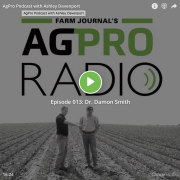 They hypothesized that this correlation was due to the fact that DON is water soluble and can be washed from the grain to the straw, in the field, during rain events. 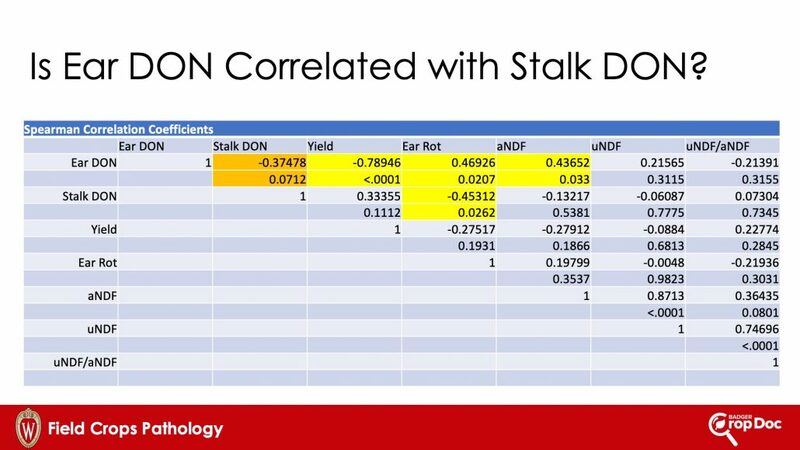 We wanted to see if stalk DON was correlated with ear DON in our corn trials, as a similar phenomenon might exist in corn. Figure 7. Spearman correlation coefficients for several parameters measured in corn plots (2 hybrids) treated with fungicide or not treated in 2018. 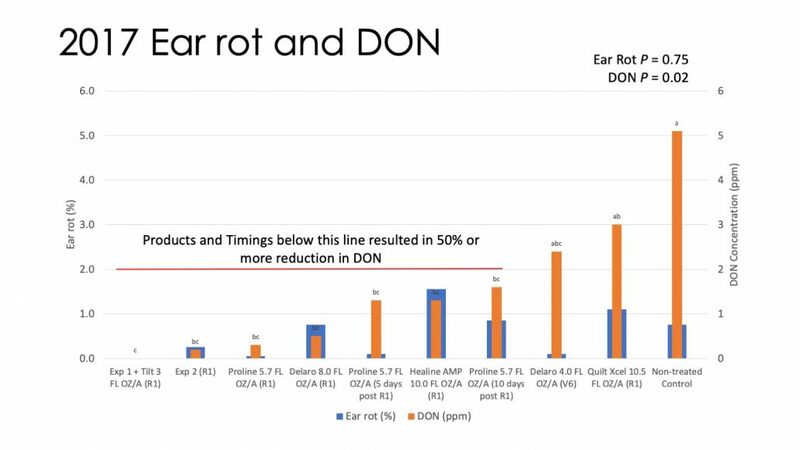 Figure 7 shows that while ear DON levels are correlated (either positively or negatively) with some other parameters, ear DON was not significantly (alpha=0.05) correlated with stalk DON. In fact, the relationship (while not significant at alpha=0.05) was actually negatively correlated. This suggested that stalk DON levels and ear DON levels might be originating from independent events in these corn trials. Remember that F. graminearum can cause a stalk and crown rot AND/OR an ear rot. These different diseases can occur independent of each other. Thus, it is plausible that the stalk DON levels might be due to stalk infection and subsequent rot, that isn’t necessarily related to ear rot in corn. -Could V6 application timings be reducing stalk infection and subsequent stalk DON accumulation? More work needs to be done. 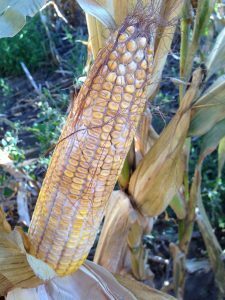 A Farmer’s Guide to Corn Diseases. 2016. Wise, K., Mueller, D., Sisson, A., Smith, D., Bradley, C., and Robertson, A., eds. APS Press, St. Paul, MN. 161 pp. Bissonnette, K.m., Kolb, F.L., Ames, K.A., and Bradley, C.A. 2018. Effect of Fusarium head blight management practices on mycotoxin contamination of wheat. Plant Disease 102:1141-1147. 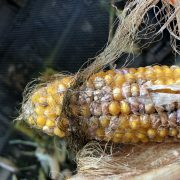 Compendium of Corn Diseases, 4thEdition. Munkvold, G. and White, D., eds. APS Press, St. Paul, MN. 165 pp. Haerr, K.J., Lopes, N.M., Pereira, M.N., Fellows, G.M., and Cardoso, F.C. 2015. Corn silage from corn treated with foliar fungicide and performance of holstein cows. Journal of Diary Science 98:8962-8972. Kalebich, C.C., Weatherly, M.E., Robinson, K.N., Fellows, G.M., Murphy, M.R., and Cardoso, F.C. 2017. Foliar fungicide (pyraclostrobin) application effects on plant composition of a silage variety corn. Animal Feed Science and Technology 225:38-53. 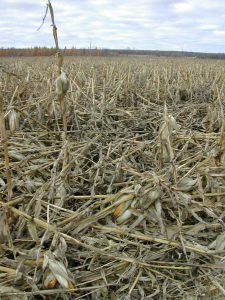 Mycotoxins: Risk in Plant, Animal, and Human Systems. 2003. Richard, J.L., Payne, G.A., Desjardins, A.E., Maragos, C., Norred, III, W. et al., eds. Council for Agricultural Science and Technology, Ames, IA. 199 pp. Treating field corn, for grain, with fungicide has become a common practice in the Midwest. 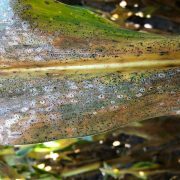 With so many fungicide programs and formulations, and the re-emergence of yield-limiting corn diseases, like northern corn leaf blight (NCLB) and gray leaf spot (GLS), foliar fungicide application has demonstrated an ability to reduce foliar disease severity and increase grain yield under some circumstances. Figure 1: A computer simulation of 5% NCLB severity on a corn leaf. How do I know if disease is active at the time I want to spray? While I hate talking about threshold levels for managing disease, it can be helpful in your decision making process to know what might be severe. While scouting look in the lower portion of the canopy. If some foliar disease symptoms are present in the lower canopy, make a visual estimation of how frequent (percentage of plants with lesions) the disease is in a particular area and how severe (how much leaf area is covered by lesions). 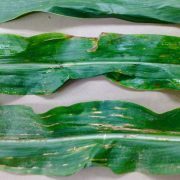 The lower leaves aren’t responsible for much yield accumulation in corn, but spores produced in NCLB and GLS lesions on these leaves can be splashed up to the ear leaves where disease can be very impactful. So by scouting the lower canopy and getting an idea of how much disease is present, you can “predict” what might happen later on the ear leaves to make an informed spray decision. The other consideration you should make while scouting is the resistance rating that the hybrid has for NCLB and/or GLS. If it is rated as resistant, then NCLB or GLS severity might not be predicted to get very severe, while in a susceptible hybrid, NCLB or GLS might be present on 50% or more of plants at high severity levels. Note however, that even if a hybrid is rated as resistant, it can still get some disease. Resistance isn’t immunity! 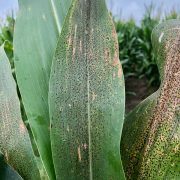 If NCLB is present on at least half the plants and severity is at least 5-10% and weather is forecast to be rainy and cool, a fungicide application will likely be needed to manage the disease. So what does 5% leaf severity look like? 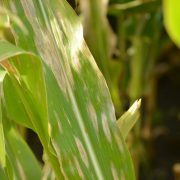 Figure 1 is a computer generated image that shows 5% of the corn leaf with NCLB lesions. You can use this image to train your brain to visually estimate how severe the disease might be on a particular leaf. As for fungicide choice and timing, I consider that further below. What fungicide should I spray and should I spray at all? My question is what are you trying to do? Control a disease or simply boost grain yield? Fungicide should be used as a tool to control a disease and preserve yield. 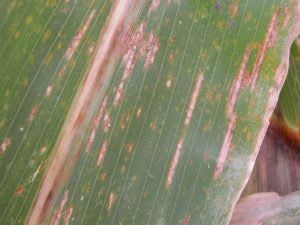 There is no silver bullet fungicide out there for all corn diseases. However, there are many products which work well on a range of diseases. The Corn Fungicide Efficacy table lists products that have been rigorously evaluated in university research trials across the country. You can see there are several products listed that perform well on both NCLB and GLS. So obviously, if a disease is present and you are trying to control the disease, you might expect more return on your investment, compared to simply spraying fungicide and hoping that there might be a yield increase. Paul et al. (2011) conducted research to investigate the return on investment (ROI) of using fungicide at low and elevated levels of disease. Data from 14 states between 2002 and 2009 were used in the analysis. They looked at 4 formulations of fungicide products across all of these trials. I won’t go into detail about all products, but will focus on one here, pyraclostrobin. This is the active ingredient in Headline® Fungicide. In all, 172 trials were evaluated in the analysis and Paul et al. found that on average there was a 4.08 bu/acre increase in corn grain yield when pyraclostrobin was used. So there does appear to be some increase in yield with the use of fungicide, but in our current market, will this average gain cover the fungicide application? Figure 2. Break-even scenarios for corn when foliar fungicide was applied. The suggested application rate for Headline® Fungicide is 6 to 12 fl oz/acre. My latest cost sheets indicate that at the 6 fl oz/acre rate, the cost of the product alone would be about $12/acre. Note that this does not include the custom applicator cost. This is a variable expense that would need to be added in to get an accurate ROI for your operation. Today we can estimate that we might sell corn grain somewhere between $3 and $4 per bushel. We can then use the cost of the fungicide product and the price of grain to figure out how many bushels of corn we need to make in the crop that would be treated with pyraclostrobin vs. not treating. Figure 2 is a table with various corn prices along the vertical axis and fungicide costs per acre along the horizontal axis. The cells indicate the bushels of corn per acre needed to break even when using a fungicide at the corresponding cost and corn grain sale price. Using the above scenario, we see that with corn priced between $3 and $4 per acre and a fungicide application cost of $between$10 and $15/acre, we would need to gain 2.5 – 5.0 bushels per acre when using Headline® Fungicide in the current corn market. Obviously these calculations are for just one product, but you can do the same for your farm and fungicide program and use the table to figure out what break-even yield gain you will need to cover your costs. What are the odds of getting that 2.5 to 5 bushel per acre yield gain when using Headline® Fungicide? Paul et al. went further and calculated the probability of return at various corn prices and fungicide costs. They did separate analyses for foliar disease severity less than 5% and greater than 5%. In our current corn market with around $3/bu corn prices and a cost of Headline® Fungicide at $15/acre (fungicide plus custom application), Paul et al. found that at low foliar disease levels (<5% severity) the odds of a positive ROI using the fungicide would be around 50%. The odds of a positive ROI improve if disease severity is greater than 5%. In their calculations with higher levels of disease (>5% severity), the odds of a positive ROI would be between 60% and 70%. 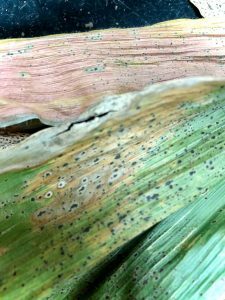 The morale of this story is that if you are going to use fungicides on corn, they should be targeted toward fields that will have, or are at risk, for disease! So what about fungicide application timing? One of the best times to apply fungicide to maximize any benefits for grain corn is during tasseling (VT) and into the silking (R1-R2) timing. In multiple site-year studies across the corn belt of the U.S., application of fungicide on grain corn at VT resulted in over a 7 bu average yield gain. In Wisconsin, the average at the VT timing is about 5.5 bushels. However, this level of yield gain only materializes when a yield limiting foliar disease is active and moving up the canopy.  You can check out results of the fungicide trials and the performance of various products over the last few years in Wisconsin by visiting my Fungicide Test Summaries page. Finally, be aware that in some cases, application of fungicide in combination with nonionic surfactant (NIS) at growth stages between V8 and VT in hybrid field corn can result in a phenomenon known as arrested ear development. The damage is thought to be caused by the combination of NIS and fungicide and not by the fungicide alone. To learn more about this issue, you can CLICK HERE and download a fact sheet from Purdue Extension that covers the topic nicely. Considering that the best response out of a fungicide application seems to be between VT-R2, and the issues with fungicide plus NIS application between V8 and VT, I would suggest holding off for any fungicide applications until at least VT.
What about fungicide on corn for silage? This practice has been gaining increased interest over the last several years. 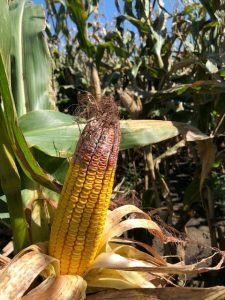 Dr. Felipe Cardoso’s animal science laboratory at the University of Illinois has published several peer-reviewed papers describing the physiological changes in the corn plant treated with several fungicides, that result in improved feed quality. In those studies yield was often not directly impacted by the fungicide application, but fibrous changes in the corn plant improved feed conversion to milk production in cows fed silage corn treated with fungicide. Figure 3. Ear rot of corn. 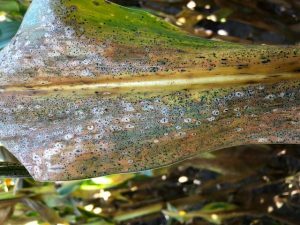 Another possible benefit to treating both silage corn and grain corn with fungicide is the potential reduction in mycotoxin accumulation. Mycotoxins are secondary metabolites produced by fungi. There are 400-500 different known mycotoxins. In corn in Wisconsin, we typically are most concerned with deoxynivalenol (DON or vomitoxin) and fumonisins. These mycotoxins are produced by fungi in the group Fusarium which can cause ear rot issues (Fig. 3) and also stalk rot issues in corn. Recent studies by colleagues in Ontario, Canada have demonstrated that the triazole containing fungicide Proline (active ingredient: prothioconazole) applied at R1 (silking), or shortly after the beginning of silking, can reduce DON levels in corn grain, compared to not treating. 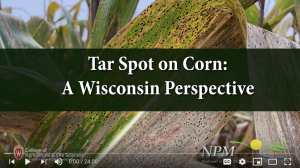 The Field Crops Pathology Laboratory at the University of Wisconsin-Madison set out to determine if Proline, and other fungicides and programs, had a similar effect on silage corn treated with fungicide. Our trial was established at the Arlington Agricultural Research Station located in Arlington, WI in 2017. The brown midrib (BMR) corn hybrid ‘P0956AMX’ was chosen for this study. Corn was planted on 11 May and chopped on 13 Sep. Single applications of various fungicide products (Table 1) were applied at growth stages V6 (19 Jun), R1 (26 Jul), 5 days post R1 (31 Jul), and 10 days post R1 (4 Aug). 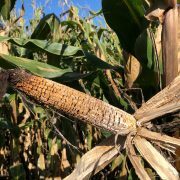 Ear rot severity was assessed by visually rating five ears per plot on the day of harvest. Yield was determined by harvesting the center two rows of each plot using a small plot silage chopper with an onboard platform weigh system. Chopped sub-samples were collected from each plot and analyzed for deoxynivalenol (DON) content. Consistent with other datasets, we found no significant difference in yield across treatments (Table 1). Likewise, little difference in quality could be found among all treatments. 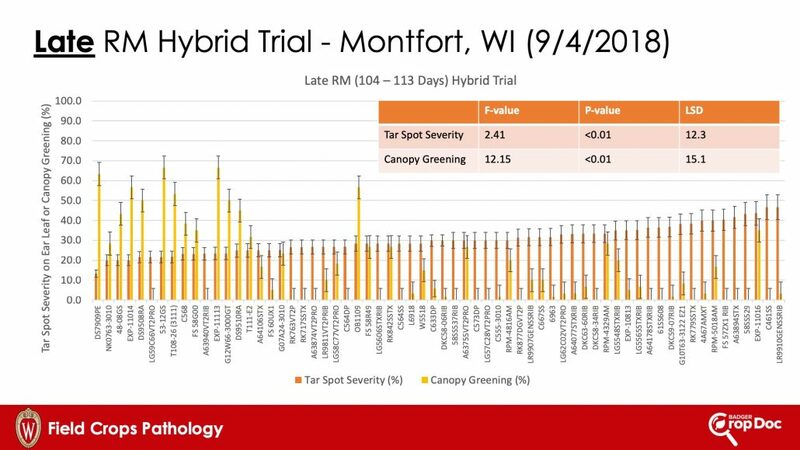 This could be due to the fact that we started with a high-quality BMR hybrid, thus not readily responding to physiological changes that correspond to increased feed quality when treated with fungicide. 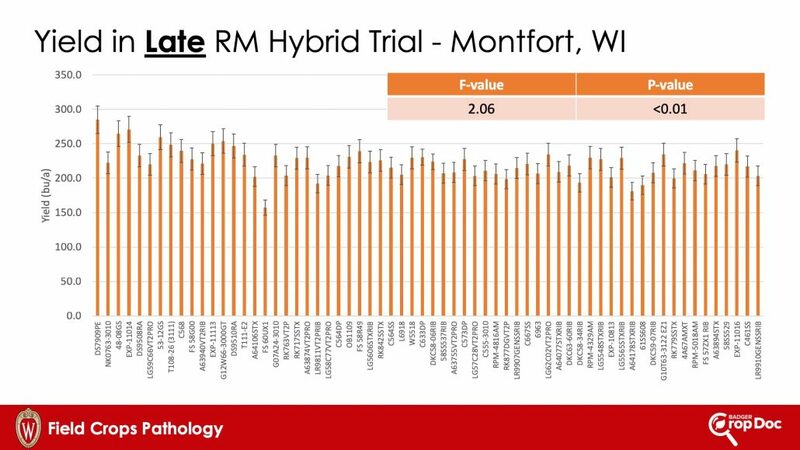 All fungicide treatments resulted in a significant reduction in DON content compared to the non-treated control, except Delaro applied at V6 and Quilt Xcel applied at R1. Application of the experimental 1 fungicide applied at R1 resulted in the lowest DON content among treatments. Remaining treatments had comparable DON levels to experimental 1 except for Quilt Xcel at R1. These results were consistent with previous data from Canada indicating that there is a “sweet spot” of application timing (especially when using Proline), when the goal is to reduce DON. The window of application begins at R1 (silking) and ends around 10 days after the start of R1. Additionally, our data have shown that the product Quilt Xcel does not reduce DON levels on par with some other products. In fact, in other trials, Quilt Xcel has resulted in higher levels of DON in grain corn. In grass crops like wheat, it has been shown that products containing the strobilurin fungicide class can increase DON levels over not treating. Therefore, these products are not recommended for application after flowering in wheat. This same phenomenon could be possible in corn. 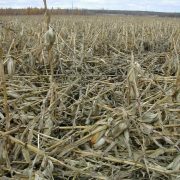 Thus, care should be taken when choosing products and programs specifically aimed at reducing DON levels in corn silage. 1) Corn hybrid disease resistance score – Resistant hybrids may not have high levels of disease which impact yield. 2) Get out of the truck and SCOUT, SCOUT, SCOUT – Consider how much disease and the level of severity of disease present in the lower canopy prior to tassel. 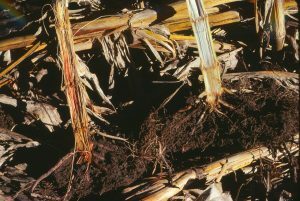 3) Consider weather conditions prior to, and during, the VT-R2 growth stages – if it is cool and wet, disease may continue to increase in corn and a fungicide application might be necessary. If it turns out to be hot and dry, disease development will stop and a fungicide application would not be recommended. 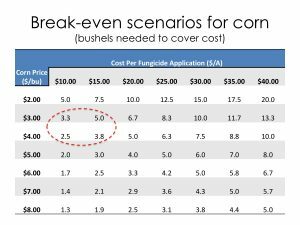 4) Consider your costs to apply a fungicide and the price you can sell your corn grain – Will you gain enough out of the fungicide application to cover its cost? 5) Hold off with making your fungicide application in Wisconsin until corn has reached the VT-R2 growth stages – The best foliar disease control and highest likelihood of a positive ROI will occur when fungicide is applied at VT when high levels of disease are likely. 6) Dairy farmers should think about the overall goal of using fungicide on silage corn. 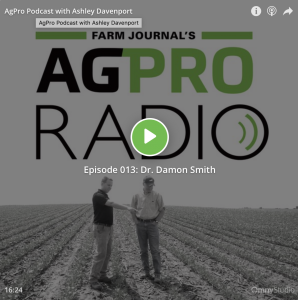 If the goal is to simply alter the corn plant physiologically to improve feed quality, there are numerous products and application timings that have the potential to provide a benefit over not treating. However, if the goal is to target mycotoxins, specifically DON, certain fungicide products may need to be applied specifically during the short silking stage (R1-R2) of the corn plant, to reduce DON levels. 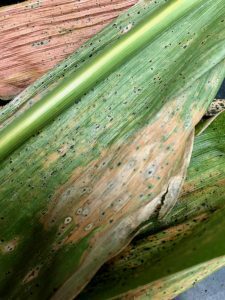 7) Be aware that every time you use a fungicide you are likely selecting for corn pathogen populations that will become resistant to a future fungicide application – Make sure your fungicide application is worth this long-term risk. To learn more about fungicide resistance, you can CLICK HERE to download a UW Extension fact sheet. Haerr, K.J., Lopes, N.M., Pereira, M.N., Fellows, G.M., and Cardoso, F.C. 2015. Corn Silage from corn treated with foliar fungicide and performance of Holstein cows. J. Dairy Sci. 98:8962-8972. Kalebich, C.C., Weatherly, M.E., Robinson, K.N., Fellows, G.M., Murphy, M.R., and Cardoso, F.C. 2017. Foliar fungicide (pyraclostrobin) application effects on plant composition of a silage variety corn. Animal Feed Science and Technology. 225:38-53. Paul, P. A., Madden, L. V., Bradley, C. A., Robertson, A. E., Munkvold, G. P., Shaner, G., Wise, K. A., Malvick, D. K., Allen, T. W., Grybauskas, A., Vincelli, P., and Esker, P. 2011. Meta-analysis of yield response of hybrid field corn to foliar fungicides in the U.S. Corn Belt. Phytopathology 101:1122-1132. White, D.G., editor. 2010. Compendium of Corn Diseases. APS Press.